2 Bedroom Detached Bungalow For Sale in Lightwater for Asking Price £495,000. Offered To The Market With No Onward Chain And Situated Within Easy Access To Lightwater Village. 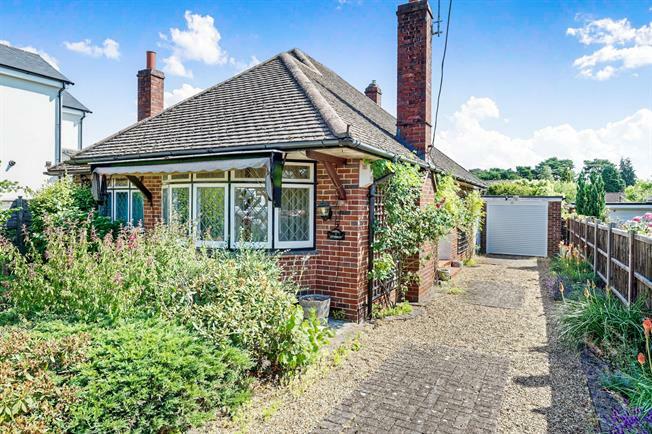 We are delighted to offer this two bedroom detached bungalow in need of modernisation with potential to extend subject to the usual planning consents. Accommodation comprises a spacious entrance hall, large lounge with bay window, kitchen/breakfast room, two double bedrooms and a shower room. Outside to the front is an area of lawn with mature borders and a driveway allowing off street parking for several vehicles leading to a single garage. The rear garden is fully enclosed with a large area of lawn and mature planting.